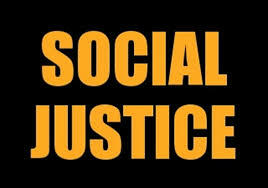 Social justice, this familiar, but arduous to define topic, impacts many aspects of our lives. The difficulty in describing social justice is because of our personal perspectives on justice, equality and how we as individuals respond to the needs of others in our society. A quick Internet search resulted in a variety of definitions which centered on social, religious, political, legal and health related aspects of persons who are or have been marginalized in our society and throughout the world. Clearly, social justice can and does connect with all these subjects. “Social justice embodies the vision of a society that is equitable and in which all members are physically and psychologically safe. It demands that all people have a right to basic human dignity with their basic economic needs met.” This definition from the article “The nature of social injustice and public health” by Levy and Sidel in 2006 did the best job of encompassing the totality of the definitions found. Since defining social justice is so difficult, it should not come as a surprise that implementing it is equally as hard. With it comes questions such as: What level of responsibility does government have for social justice in our democratic society? What is our personality responsibility toward social justice and will social justice ever be obtained in our diverse and very individualistic society? Justice is a value of which there are many forms of it. Value is a word and concept we often hear when something goes wrong and there is a need for a company spokesperson or a government official to apologize for an action that does not represent their values. So yes, as the government has a part in promoting and protecting many values (equality, liberty, freedom) it has a role in social justice. With any value people have conflict can occur as there are differences in both our perceptions and beliefs. These perceptions and beliefs transfer into our politics. This is evidenced by the conflict with and between our elected representatives, which their impacts their votes on legislation and the subsequent public policies they enact. This is the essence of the social justice aspect of the imbroglio over the current health care legislation in Congress. The matter of equity in health care is part of the ongoing struggle this country has had in living up to its ideals of equality. In spite of the equality mentioned in our Constitution, various court cases and well-known federal legislation, equality in all aspects of our society has not been obtained. Health equity remains as one of the critical issues in this ongoing problem of equality. The problem is we keeping avoiding tackling the real issue so equality or equity is still lacking in many areas including health care. We live in a very complex society, one in which our values often are incongruent with others. Most of us are able to go about our daily lives with the knowledge we have our differences, but also knowing we are able to interact with our fellow citizens usually with a reasonable level of decorum. Unfortunately, there are times when others feel emboldened to act on their perceptions leading to physical confrontations for nefarious reasons. It is during these unfortunate encounters that impact social justice and the safety of innocent persons that have seen brave men and women come to the aide of the vulnerable. This is evidence to the personal level of responsibility that many individuals feel about doing not only what is right but also indicates the risk some are willing to take in the pursuit of social justice. A recent nationally covered news story from Portland Oregon where two men lost their lives protecting two teenaged girls who were being verbally abused while riding a commuter train. One girl was African American and the other was Muslim and wearing the traditional hijab as is customary for many female members of the Muslim faith. Will we ever obtain full social justice in this country? The current level of dissention would lead one to believe the answer is no. However, this should not deter those of us in public administration from working to achieve this goal as “social justice is not only the government’s responsibility…it’s a partnership of all who believe in progress and a mentality that change happens from the ground up.” This last quote is from the website from the master’s program in public administration at the University of San Francisco. There is still work to be done in the pursuit for social justice.